Purchasing a refurbished Ciena 4200 can add functionality to your network. The multi-degree reconfigurable optical add/drop Multiplexer (ROADM) gives you the ultimate control over your optical path. Plus, you can maximize your system’s bandwidth and help wavelength planning where there are uncertain traffic projections. The Ciena CN 4200 is a FlexSelect advanced services platform that provides multi-service transport and aggregation capabilities across almost all of today’s existing transport protocols. Boost your network with a smart platform that can use any port — even those on the same line card — to support TDM, Ethernet, smart storage and video applications. Ciena says its 4200 was the first to offer programmable line ports that supported services of up to 10 Gbps to be provisioned, upgraded or changed in a point-and-click manner. There’s no need to swap or introduce new modules as you expand, flex or grow your offering. Worldwide Supply offers a variety of used Ciena CN 4200 options that are brought up to OEM standards and designed to support your existing third-party systems and industry-standard protocols in use. Get one of the most reliable and risk-free paths to changing your IT as your network demands change. Why Choose a Refurbished Ciena CN 4200? Worldwide Supply offers a full complement of refurbished and used Ciena CN 4200 models that allow you to optimize your cost efficiency with each new investment. The Ciena CN 4200 already provides savings by reducing the number of hardware elements your network will need and pairs this with smart switching and grooming as well as remote programming support. We take savings a step further by offering you a reduction compared to OEM costs, without any reduction in quality, service or life of the device. Our refurbished Ciena CN 4200 units are brought up to meet OEM quality demands so you can rely on it as long as your network requires. 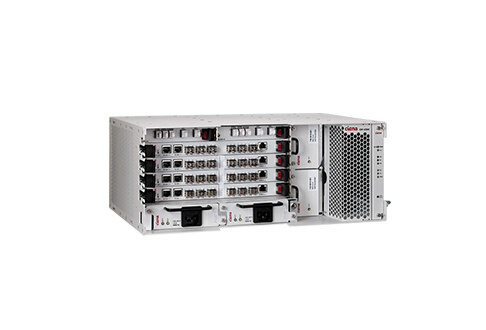 If you have a used Ciena 4200, sell it to Worldwide Supply to maximize your savings. You can get rid of any surplus equipment and benefit from upfront cash that can go back into your network. Our focus is always on our customers, so we will handle everything from recovering your equipment to fully refurbishing it. Once you receive cash for your Ciena 4200, you can purchase new equipment or buy another refurbished item from Worldwide Supply. We have a large inventory with great rates to help you maximize your budget. The key to keeping your refurbished Ciena 4200 running in peak condition is regular service. Worldwide Supply can service your equipment cheaper than your OEM, and can often respond to your issues faster. Whether it’s a routine checkup to help the overall health of your system or an issue that needs corrected immediately, we will be there.